Herbal medicine has been used in many cultures since very early times. 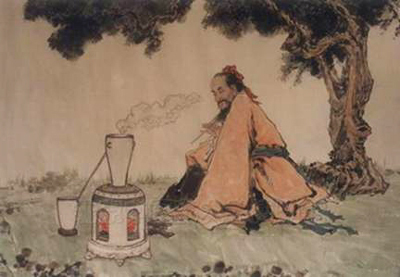 In China, it was during the time of the Han dynasty, over 2,000 years ago, that it became a widespread medical system with detailed records documenting herbal treatment, and an extensive pharmacopoeia was developed. At that time, herbal medicine began to take a prominent place in the Chinese health care system, a position it maintains today, offering Oriental medicine in private clinics as well as government hospitals where it is practiced along side conventional Western medicine. Because of its long history and clinical effectiveness, for centuries Chinese herbal medicine has had a great influence on the development of medical theory and practice throughout Asia. Besides its widespread use in China it is also practiced in many other countries including Japan, Vietnam, Taiwan, and Korea. In recent years, herbal medicine practice has increased rapidly in the West, enjoying widespread popularity in North America, Australia, New Zealand, and most Western European countries. Herbal medicine is considered one of the four foundations of a comprehensive system of health care in China that includes acupuncture, herbs, tui-na (acupressure massage), and qi gong (therapeutic breathing exercises). Throughout its history, it has continually developed in complexity and in response to the growing body of medical knowledge of the times. But though information gained through modern research is taken into account, the efficacy of Chinese herbal medicine remains rooted in its long tradition. Chinese herbal medicine is capable of treating a wide range of conditions. It is based on the concepts of yin, yang, qi, and blood and the many ways in which the fundamental balance and vitality of these energetic substances may be depleted or blocked. Clinical strategies are based on patterns of signs and symptoms, and incorporate an approach to treatment that addresses both broad constitutional tendencies as well as the primary health complaint. affinity, and specific function. While each ingredient in an herbal prescription has a complex “signature”, the combination and synergy of herbs used together is the key to effective treatment. An herbal formula is considered to be more than the sum of each of the individual herbs, and a well-trained herbalist is proficient in both the art and science of prescribing. Herbal medicine, and traditional Chinese medicine as a whole, places great emphasis on the health of mind, body and spirit. Integral to this system is the belief that health is more than just the absence of illness, but that the best medicine also addresses disease prevention and the maintenance of vitality, thereby increasing the potential for well-being and happiness. The safety of Chinese herbal products is an important question and one taken seriously by herbalists in the West. From infant formula to pet food and toys with toxic lead-based paint, there have been several newsworthy cases of contaminated products manufactured in China that have rightly caused a great deal of concern. Problems of safety regarding herbs have not been common, but do occur. Along with the U.S. Food and Dru g Administration (FDA), the Chinese medicine community has worked diligently to minimize these problems and create protocols that ensure high quality standards. Potential concerns generally fall into four major categories: bio-toxin contamination, excessive heavy metal concentration, inclusion of unlabeled ingredients, and incorrect species identification. 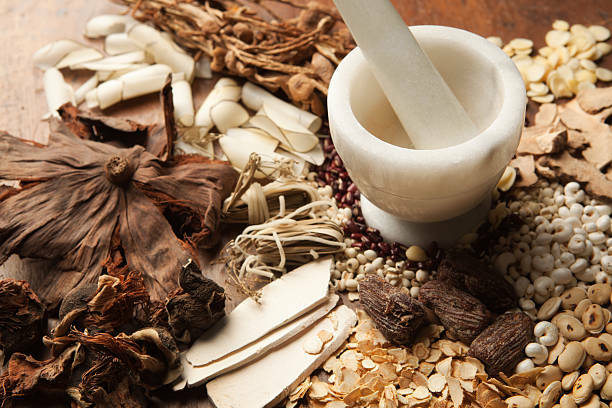 Below is a discussion of these issues and the measures that have been taken by the Chinese herbal medicine community in the U.S. in order to ensure high quality herbal products that are both safe and effective. The FDA requires strict regulation of all imported herbs and herb products that enter the U.S. in order to ensure they do not contain contaminants. In compliance, all American herb companies now test each batch of herbs for E. coli, salmonella, and other potential bio-toxins such as molds and yeasts. GC (Gas Chromatography) methods are used to ensure herb safety by testing for the presence of over 200 potentially harmful substances such as pesticides, herbicides, and fungicides. High levels of mercury, lead and other heavy metals have been found in some herbs and herbal products manufactured in China by Chinese-based companies. In particular, some of the pre-formed patent herb pills have been tested and found to contain excessive heavy metals. It is suspected that the large containers used to cook and concentrate herbal liquid for the making of pills have lead solder seams which allow lead to leech into the product. American herb manufacturers ensure this does not occur by using only seamless stainless steel equipment when producing herbal products. It should be noted that lead is an organic substance occurring in soil, lakes, rivers and oceans and that no soil is lead-free. It is naturally present at an average of about 10 ppm (parts per million), and in general, is usually less than 50 ppm. Because lead is in the air, water and soil, it enters our bodies by breathing, drinking water, eating plant based foods and food from animals that eat plants. Excessive lead contamination in the environment is an increasing problem, introduced into the water supply by lead pipes and into the air from automobile exhaust and the burning of coal. It contaminates food through the lead solder in cans, and from air pollutants combining with rain that falls on crops and enters the worldwide water system. The legal limit for lead in pharmaceutical and herbal products has been set at 10 ppm and for mercury at 3 ppm, though most dried Chinese herb material measures well below these levels. American herb companies run sensitive tests measuring these subparts per million of heavy metals in order to assure that no herbs with excessive lead or mercury concentration go on to be sold to the public. Unfortunately, some herbal patent (pre-formed pill) products manufactured in China by mainland Chinese companies have been found to contain extraneous ingredients not listed on the label. The lack of labeling laws and regulations in China have lead to the formulation of herb products containing pharmaceutical drugs and other unknown additives. This is one reason we strongly advise against buying herb products manufactured in mainland China by Chinese companies. This poor labeling practice does not occur with products manufactured by U.S. owned herb companies as all herbs and herbal products are tested regularly upon entry to the U.S. It is extremely important that herbs be subject to careful and accurate identification. Though few, there have been some serious problems associated with the ingestion of toxic plants that were identified incorrectly, mistaken for another, completely harmless herb. 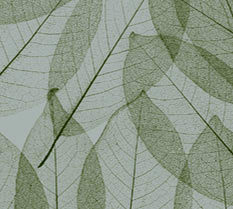 For this reason, all American herb companies now require a botanist to be on staff to oversee a three stage process of 1) macroscopic inspection to identify the correct plant, 2) microscopic examination to ascertain species authenticity, and 3) TLC (Thin Layer Chromatography) to analyze the chemical “fingerprint” unique to each species. Every batch of herbs is tested, identified and documented, in order to ensure consumer safety. 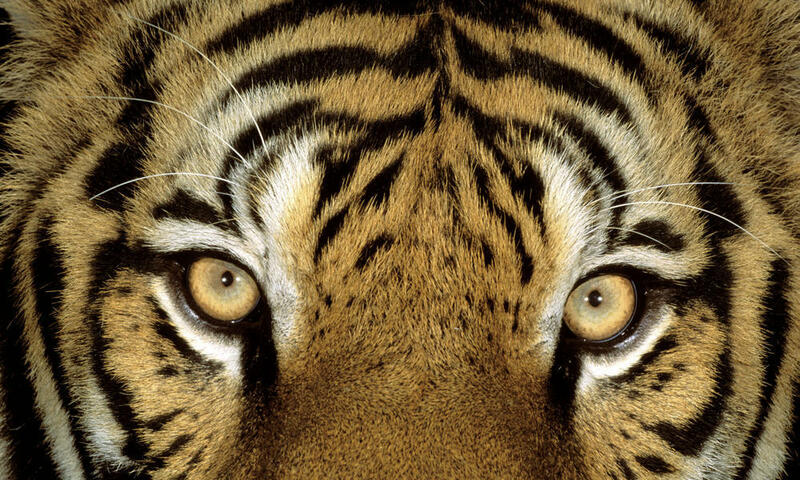 This use of plant and animal medicines from endangered species is an increasingly dire situation and an important ethical concern. We are strongly committed to the ban on using these substances. Not only is it illegal, but it is also our responsibility to preserve both human health and the health of our natural ecosystems. The demand for natural medicines is great and can tax dwindling species groups. It is our commitment, and that of many, to stay informed and avoid using both endangered plants and animals as well as those that are approaching critically low numbers. As a profession, Chinese medicine is strongly committed to the health of our patients and that of the planet. To this end, we recommend that consumers use only herbs and herb products manufactured and imported by American companies, or reputable European or Australian companies. 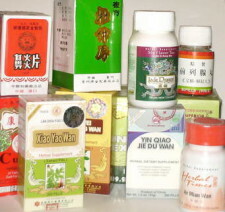 Some of these may have manufacturing plants based in Taiwan or other countries outside the U.S., but their products will be held to the stringent U.S. regulations described above, and are subject to testing and documentation upon entering the U.S. By purchasing herbs only from companies that are well regulated and operate according to FDA and GMP (Good Manufacturing Practice) standards, we are confident in the quality and safety of Chinese herbs we prescribe. How are Chinese herbs administered? Chinese herbs are generally prescribed in formulations containing 4 to 12 or more herbs, as the synergistic use of several substances creates a dynamic effect that cannot generally be achieved by a single plant. Traditionally, the raw, dried herbs are cooked as a decoction by simmering in water for a period of time, then strained and drunk as a tea. Herbal formulas are now also available in concentrated granules that easily dissolve in water, as well as in the form of tinctures, capsules or tablets. Herbs for topical use may be prescribed and are used in the form of lineaments, washes, salves, and plasters. What are Chinese herb granules? Chinese herb granules are manufactured in a carefully controlled process that begins by cooking raw herbs in water until a concentrated liquid is obtained. A special extraction method captures and preserves the volatile oils, which are later added back to the herb product. The herb liquid is highly concentrated, slowly dried, and sprayed onto a base of finely powdered herb material or potato starch. After drying, this is ground into powder, resulting in herb granules that are easily dissolvable in liquid. These granules are concentrated to a potency of about 5:1, which means that 5 kg of dried herb material is used to produce 1 kg of concentrate. With the resulting product, consuming about 10 grams of granules daily equals the potency of taking 50 grams of raw herb in decoction. The granules are prepared under the strict laboratory conditions and GMP (Good Manufacturing Practice) regulations, each batch being tested to assure optimal potency and safety. State of the art testing is performed on the herb granules and only those passing high standards for safety and efficacy are used. Laboratory tests check for potential microbes such as E. coli, salmonella and other contaminants. Gas Chromatography (GC) testing is used to detect potentially harmful pesticides and herbicides, Inductively Coupled Plasma-Mass Spectrometry (ICP-MS) assesses the concentration of heavy metals, and High Pressure Liquid Chromatography (HPLC) measures the potency of active ingredients. What are the advantages and disadvantages of taking herbs in decoction, granule, or pill form? When herbs are taken in decoction form, the dried herb material is cooked for a period of time, usually about one hour, then strained and drunk as a tea. Chinese herbs are traditionally administered in this form, but it takes time to cook and prepare the tea daily, and the relatively strong smell and taste can be a disadvantage of this method. We primarily recommend herbs taken in concentrated granules as they are both effective and convenient In this form, the dried herb material has been cooked until it is very concentrated, and then freeze dried. The granules easily dissolve in water, and are therefore time saving and relatively easy to take at home or away. Granules, like decoctions, can be prescribed in individualized formulas that are custom tailored for each person’s specific constitution and health concerns. Both decoctions and concentrated granules are more potent than herbs in pill form when taken at the usual recommended dosage. Pills are suitable for conditions where slow, steady herbal support is appropriate. This form is ideal to take when traveling and for those who are very sensitive to the taste of herbs, or for other reasons find it difficult to take liquid preparations. Herbs in pill form are pre-made, standardized formulations, therefore cannot be customized. In order to achieve the targeted response, taking a combination of two or three different formulas in pill form may be necessary. Are there any side effects from taking herbs? Traditional Chinese herbal medicine uses herbs only in their whole form, meaning that certain chemical constituents of the plants are not extracted and removed, or unnaturally concentrated. As such, herbs have very few side effects, and when prescribed by a well-trained herbalist, problems are minimal to none. The main potential concern with these herbs is the ability to easily digest the potent plant constituents. Chinese herbalists will carefully consider this factor and include herbs that promote digestion as needed. Can I take herbs if I am taking prescription medications? When seeing a Chinese herbalist, you should bring a list of any medications you are taking to your appointment. Herbs may not be appropriate if you are taking some beta-blockers, hypertensive or blood thinning medications or if you have kidney and/or liver metabolism issues. A well-trained herbalist will know which herbs should be avoided with certain medications and supplements. Can I take Chinese herbs if I am pregnant? 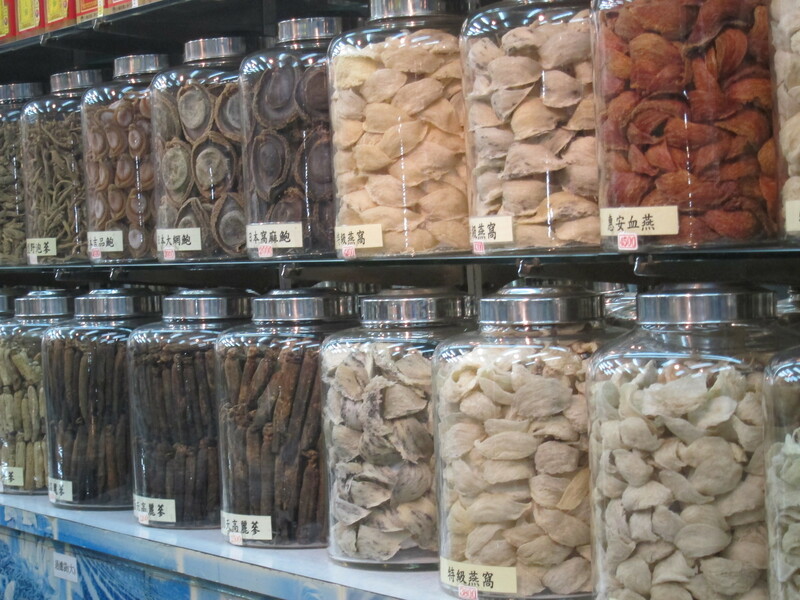 The actions and effects of Chinese herbs have been meticulously observed and classified for over a thousand years. There are many herbs that are considered contraindicated for use during pregnancy and Chinese herbalists are trained to strictly avoid their use with pregnant patients. There are hundreds of other Chinese herbs that are absolutely safe for use in pregnancy, and in fact, are often very helpful in calming potential threatened miscarriage symptoms and for other obstetric problems. Are herbs safe to take if I am breastfeeding? As with foods, medications, and supplements, when taken by breastfeeding moms, small amounts of herbal medicine will enter the breast milk and be passed on to the baby. For this reason, herbalists are careful when treating breastfeeding mothers, but it is not necessary to avoid taking herbs all together. Herbs that gently nourish the body, encourage optimal digestion, support immune function, and otherwise promote relaxation and vitality, may be taken safely. Many Chinese herbs are safe and effective for treating pediatric conditions when dosages are adjusted appropriately for the child’s body weight and constitution. Often they will be administered in liquid tincture form, or granules that can be dissolved into juice or pureed fruit. Herbs should be given to children only when prescribed by an experienced, well-qualified herbalist trained in pediatric care. Cindy Micleu, L.Ac. Jade Wellness Center © 2019. All Rights Reserved.